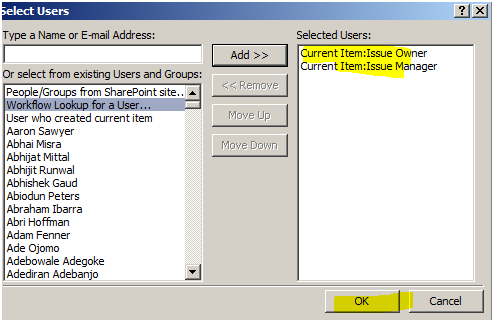 1) Requirement for email alerts to be sent to a specific user on either of the above lists when a user is assigned as an "Owner" or "Manager"(People Picker-field) to a new Risk or Issue. 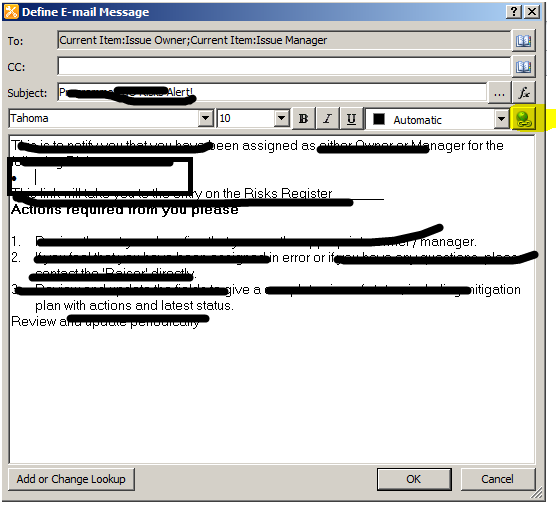 Emails to be sent immediately upon "Manager" or "Owner" being assigned. 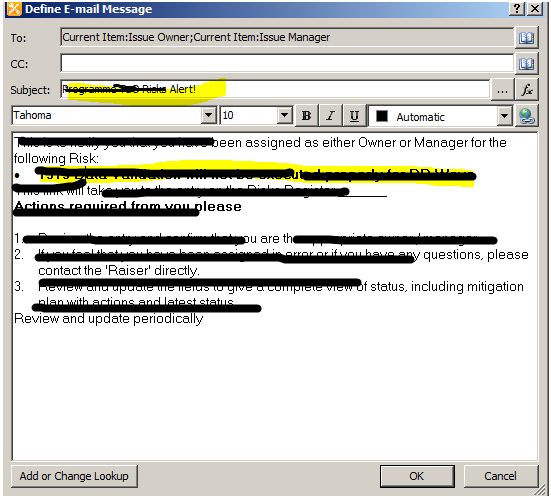 2) Requirement for email alerts to be sent to a specific user on either of the above lists when a user is assigned as "Owner" or "Manager" (People Picker-field)of an existing Risk or Issue where either of the fields have changed. 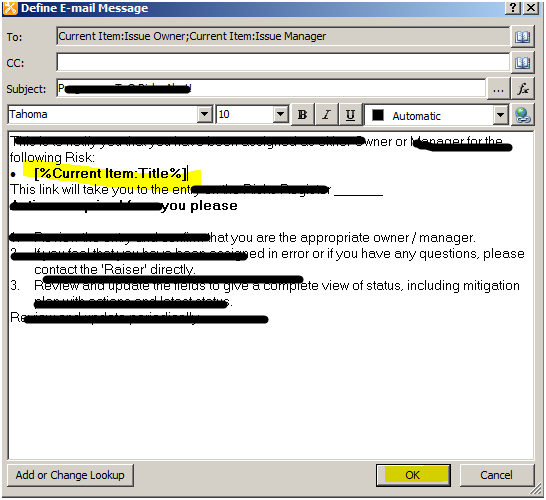 Emails to be sent immediately upon "Manager" or "Owner" field change. 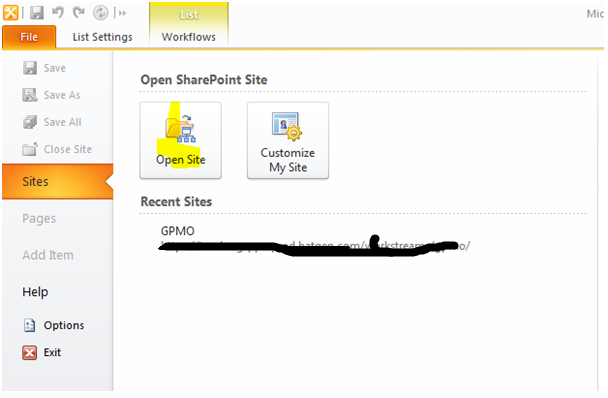 1.1.1 Open SharePoint designer click open the site. 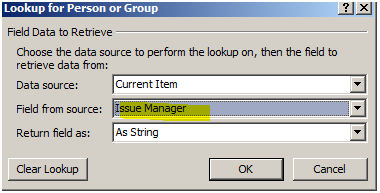 1.1.5 Select one of the Custom List of Issue List. 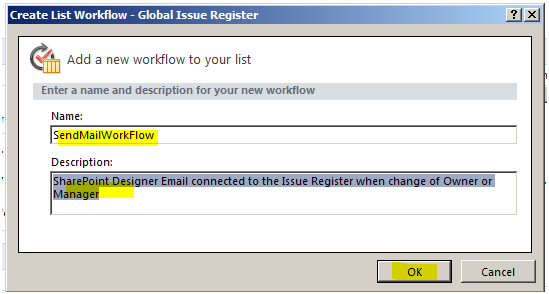 1.1.6 Now SharePoint designer will ask you to enter a name for your workflow. 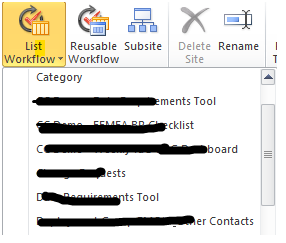 I have named the workflow as “SendMailWorkLFow”. 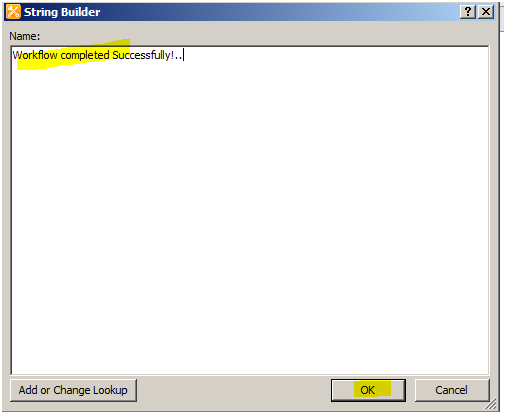 Click on create button once you are done. 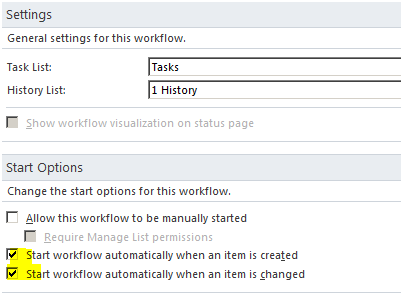 1.1.8 You can add conditions and actions to workflow. In our case, it is just one action. 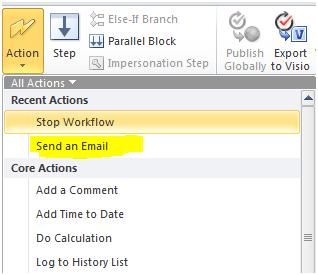 Select send an Email option. 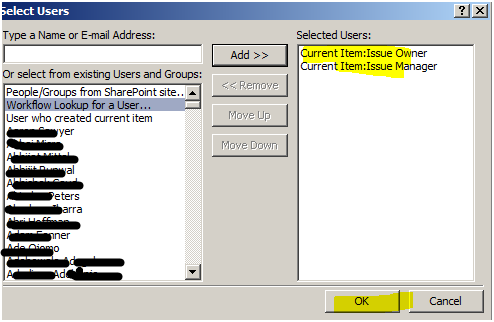 1.1.10 Displaying one popup menu, on popup menu we have configure To address and Subject and body contains, First you need to enter the To address. Click on the browser button next to To: text box. 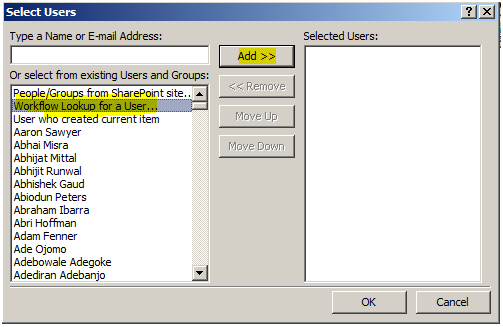 1.1.14 Displaying selected users on right side list box and say ok.
1.1.15 Next Define email dialog. 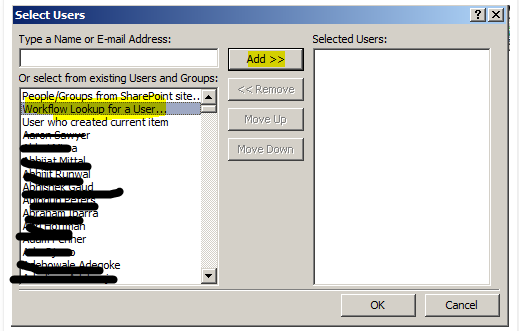 Here you need to enter the subject and a body for the email from the attached excel sheet. Copy paste the content as per attached screen shot. 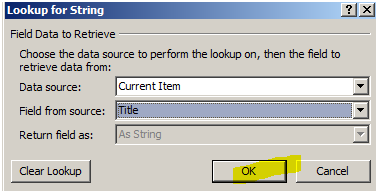 Then delete the bulleted line(Title) and keep the cursor same line. 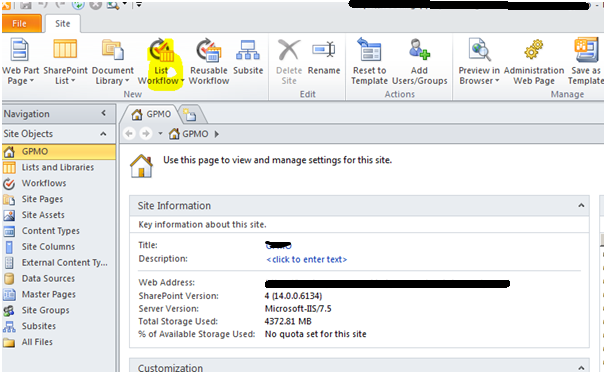 1.1.16 Next Click the Link button on right side cornor. 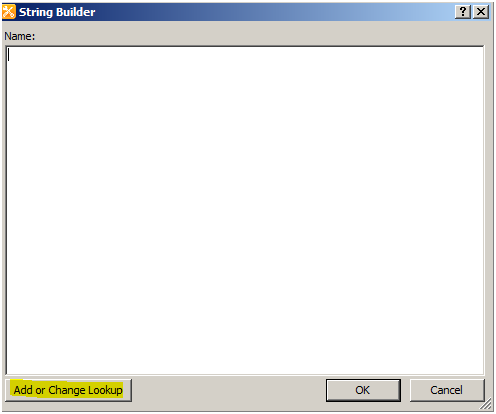 1.1.17 Click on the Text to display textbox fx Icon in the right side corner. 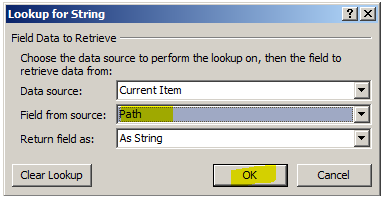 1.1.18 Next screen choose DataSource: Current Item, Field from Source : Title, Return as field as: As String. 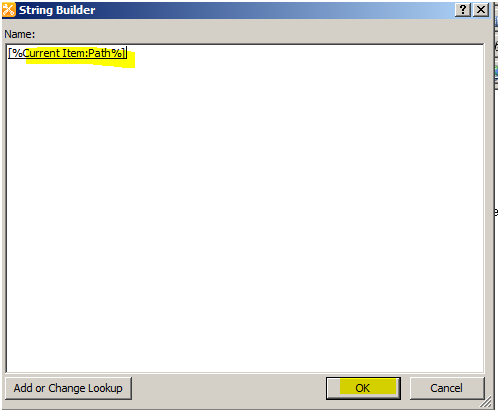 1.1.19 Next follow the 2.1.17 and click Address textbox fx icon. 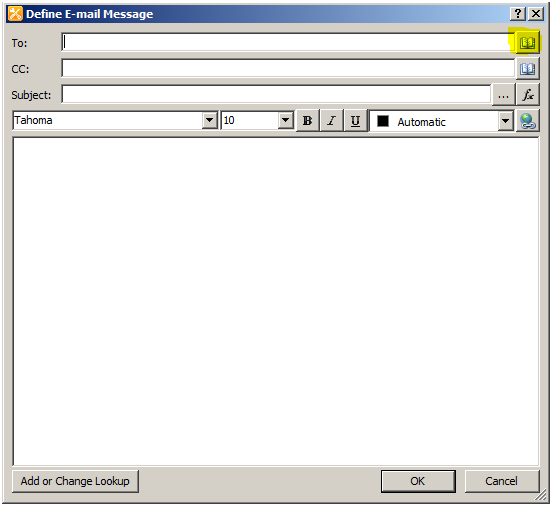 1.1.23 Below is the screenshot of the email body we have configured. 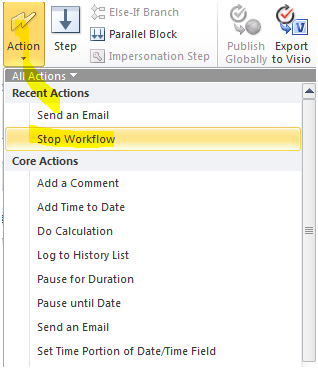 Once verified and Click Ok.
1.1.24 Next you choose the Action on ribbon menu and select Stop Workflow action; it will be inserted in the Step1. 1.1.26 Click the button and add some message. 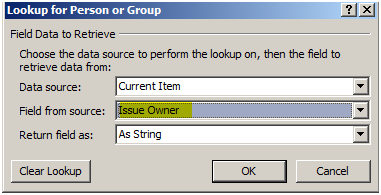 1.1.29 Select the below attached screen shot option only. 2.1.1 After implementing the change, Go to site. be a major event then the tables where your guests are seated will be much larger and thus demand a much bigger arrangement. a large portion of other people will leave out your wonderful writing because of this problem.